He spent over 39 years studying them. Unlike Darwin, we mightn’t have 39 years to spare but a few minutes reading time will quickly fill you in on some interesting facts about earthworms. How much do you know about these vital creatures? 1. Invertebrates make up 97% of species on earth without backbones and Earthworms are just one of them. 2. There are around 3,000 species of earthworms around the globe that range in size and colour from 1cm to 3m and from green to brown, blue to pink. 3. 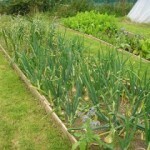 Earthworms are most definitely a gardeners friend and are vital to soil health. As they burrow beneath the ground, they consume soil, feeding on decomposing organic matter such as roots and leaves, sand grains and microorganisms. As the organic matter passes through their digestive systems, vital minerals and nutrients are transported and it’s been shown that not only is worm digested soil healthier, it also has more phosphorous. 4. 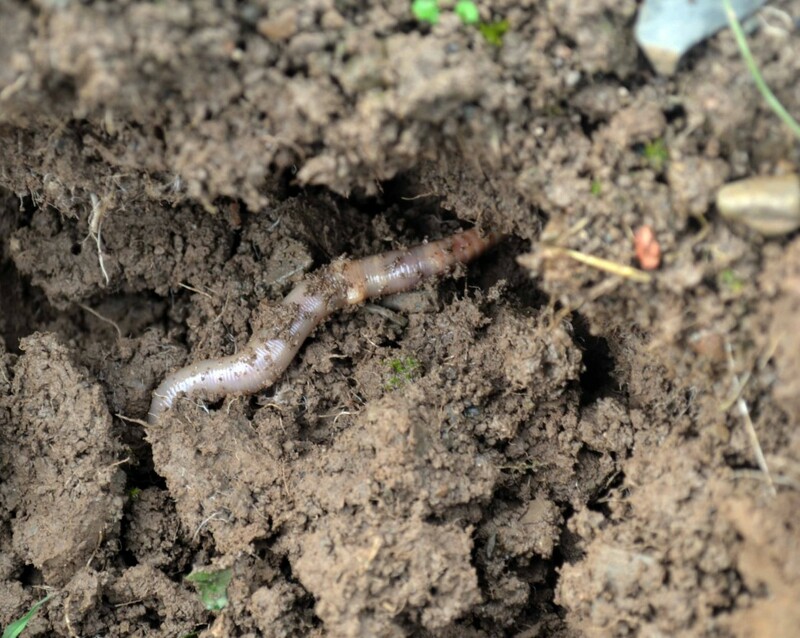 Earthworms are a sign of healthy soil. If there’s no food they’ll go elsewhere. The more worms in your soil, the more nutritious it is, not only for them but for your plants! 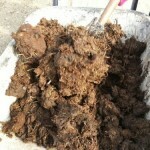 If you don’t see many signs of worms, simply add more organic matter and they will find it. 5. The burrows that earthworms create act as ducts that water and oxygen can pass through, helping to keep soil moist and aerated, vital for good plant growth allowing roots to grow and develop. 6. Earthworms are hermaphroditic (they have both male and female reproductive organs) but they need to mate with other worms to produce offspring. After they’ve mated, earthworms form tiny, rice sized cocoons that are buried. They can produce two cocoons a week, each containing 1-7 hatchlings. After a two to four-week gestation period, the baby worms emerge. 7. Amongst other creatures, birds, toads and hedgehogs love to eat earthworms but there’s enough for them all in a healthy garden – there could be as many as 1,000,000 earthworms living in a one acre field. 8. 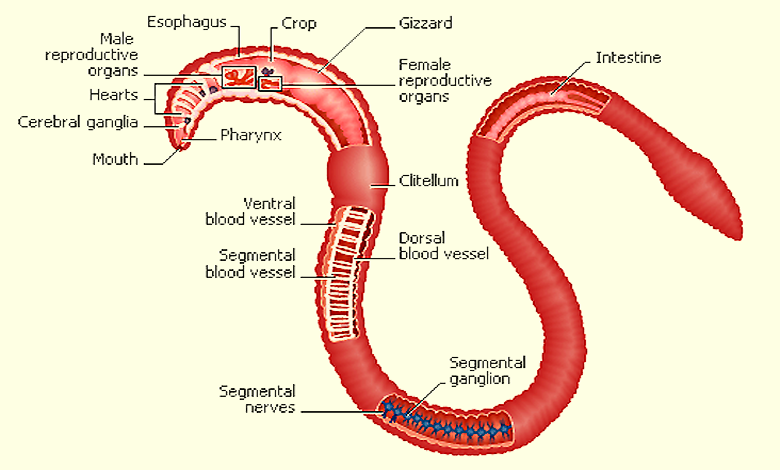 Earthworms don’t have lungs, they breathe through their skin. If there’s too much rain, earthworms will rise to the surface to breathe as they may become starved of oxygen in water drenched soil. However, light paralyses earthworms so if they’re out in it for more than an hour, they can’t retreat back into the safety of darkness and will die. 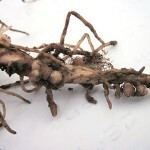 During darkness earthworms often feed on the soil surface. If you head outside with a torch you’ll spot them all diving back under cover when they see the light, just like a pool full of synchronised swimmers. 9. Worms have no eyes, ears or teeth but do have five hearts. 10. Contradictory to popular belief, if you chop a worm in half it won’t grow again! I won’t go into the nitty-gritty of why worms don’t carry this ability as Naomi of Dr How’s Science Wows gives an excellent account in her “Can of Worms” post here. If you’re a fan of worms and would like to have a go at making your own wormery take a look at the excellent resource from The Irish Peatlands Conservation Council that gives step by step instructions here. Really enjoyed reading this post, and a lovely surprise when I got to the end and spotted your mention of my post, thanks so much! You’re welcome 🙂 I remembered you publishing it and enjoyed it as often wondered myself what happens when we accidentally chop them when digging in the garden. Great article, just some additional info about a threat to our worms: There are two invasive alien flatworms present in Ireland, the Newzealand flatworm and the Australian Flatworm.These ‘aliens’ don’t feed on soil/leaves like our earthworms; instead they are predators that prey on our native earthworms. The Newzealand flatworm is the largest, flattest and quite dark with a light margin whereas the Australian is much smaller, lighter (orangy/yellow) and only a bit flattish.. 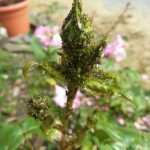 Check out NBDC or Invasive Species Ireland for more info/pictures of these nasty aliens and report any sighting of them. Thanks for that Anneke, I’ll take a look for them so I can identify and let others know. Appreciate you taking the time to let me/us know. Will the 2013/14 Irish winter be another long, cold one?